In recent seasons, samurai anime have seen an upsurge in pick-ups by the big studios. Unfortunately though, some of these shows tend to retread the familiar story of Oda Nobunaga, the famous samurai lord from feudal era Japan. 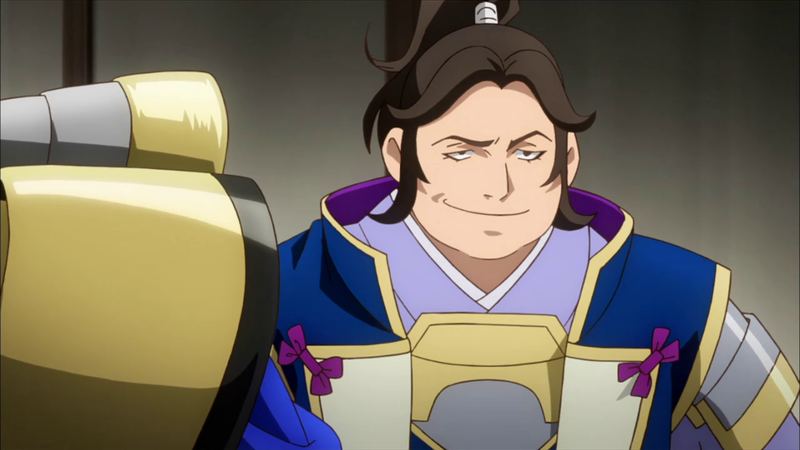 It’s totally in Japan’s right to make shows about such an important historic figure but they could at least make some innovative or unique interpretations such as Nobunagun from last year – Samurai Warriors is not one of those. Based on the popular Samurai Warriors games line from studio Koei; which also heads the Dynasty Warriors franchise as a sort of “cousin”. 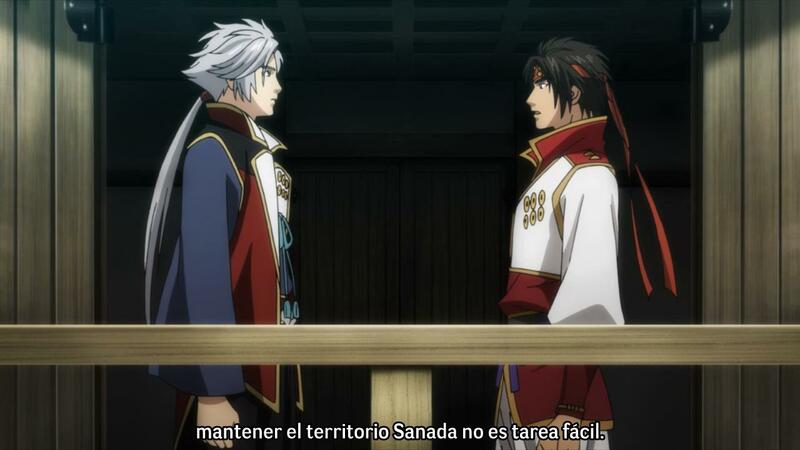 To cap off ten years since Samurai Warriors’ first release, an anime was announced in November of last year and was broadcast two months later. The basic premise for those not familiar with the games is that the Sanada brothers have risen to prominence for their fighting prowess and throw themselves head first into a battle loosely based on sixteenth century Japan; the costumes are so outlandish! This is all happening during Japan’s unification at the hands of Totoyomi Hideyoshi and his followers, so a tumultuous time for all concerned. It’s just such a shame that despite the interesting premise and the colourful designs that I am simply not hooked. At all. 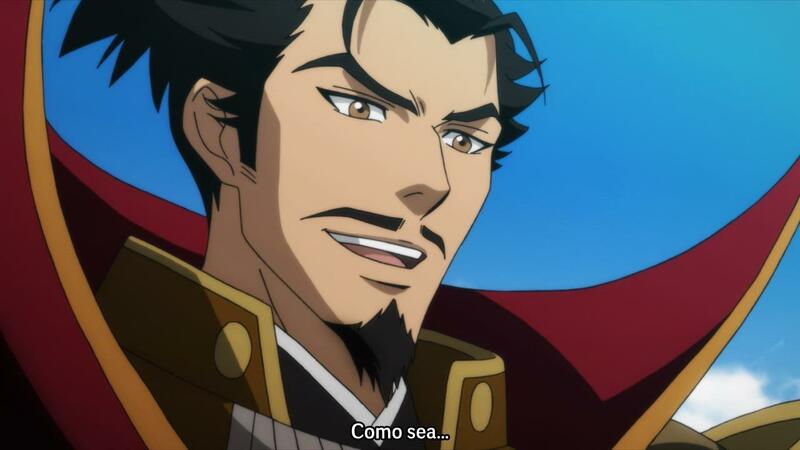 Oda Nobunaga doesn’t appear as a main character I will point out; he does show up from time to time though, of course he would! However, Samurai Warriors doesn’t carve out a unique trench, it simply goes over the same things that the games did – fighting and lots of it. Granted that may be enough for the majority of fans. This is made as a little thank you for the fans of the franchise and to co-incide with the release of the fourth instalment a few months ago. During my initial watch I didn’t feel enamoured by any of the characters; they all felt so generic despite their interesting clothing. It doesn’t help that before you even get to the first episode of the series you need to watch a fifty minute special covering everything up to episode one’s events. So you need to watch two episodes worth of content before beginning the series proper. It doesn’t help that the first episode punishes you almost for skipping the OVA with said story briskly thrust into our eyes as if to say you need to go back and bone up before continuing. How insular. Even when you get through the OVA, the content is dull, dry and requires so much character memorisation. Every thirty seconds, or so it seems, you’re hurled a new character whose name you have to commit to memory – this happens around twenty times in the first episode alone! It screams of laziness. It should instead be more natural, introducing each person through dialogue. I can’t remember the majority of the characters without rewatching or looking up their names; that doesn’t bode well for the anime proper. It’s very forgettable, plus it looks rushed. I understand that work went into making this anime but shows with only a few weeks separating announcement and broadcast don’t exactly instil confidence. It looks OK when things are still but when things get moving, it becomes very lacklustre. The backdrops look respectable but the character models look cheap when given life. The shots themselves feel very unambitious and fail to inspire; it’s all rather conservative in my opinion. Modern technology and creative thinking permit directors to come up with anything they want but the staff behind this show didn’t embrace this freedom. It’s rather sad that I can’t really think of anything else to comment on. Samurai Warriors needs a special kind of audience in order to be fully appreciated. You need to have played the games or know about the time period to get something out of this. For outsiders it’s confusing and prohibitive. You need to read up on the games and watch the OVA before starting the series thus ruling out the chances of people watching this on impulse. Not for everybody. 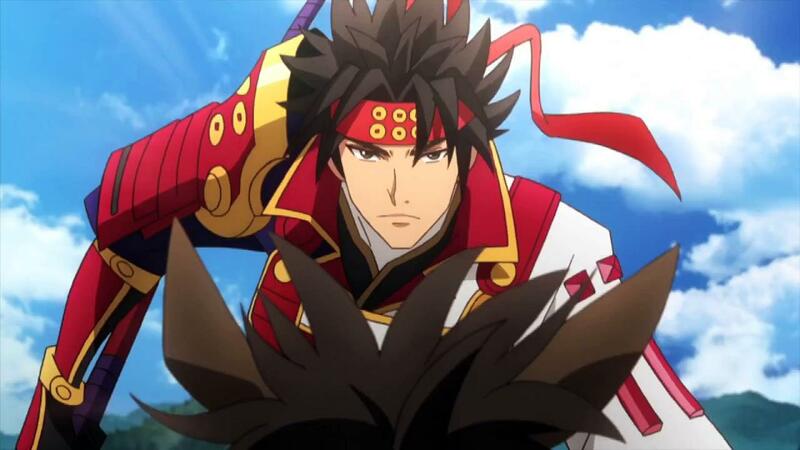 Samurai Warriors is available to stream at Funimation or Crunchyroll. If you like what you’ve read, check out my Patreon to receive special Anifile bonuses. Fighting, ultraviolent gangsters and poker dogtags! Not to mention Goth Neo with slashy skills! It’s all in the dank and dystopian world of Togainu no Chi. Originally premiered on November 27th 2010.